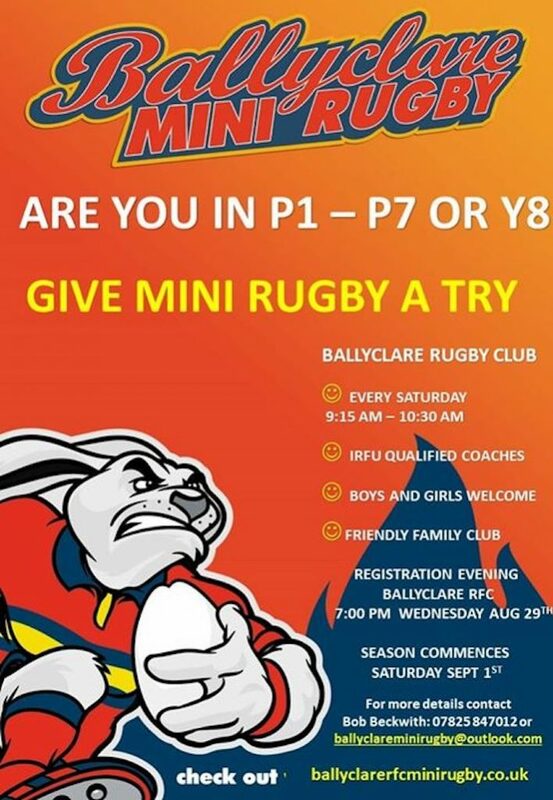 Ballyclare Mini Rugby starts the season on Saturday 1st September 2018 at 9.15am at Ballyclare RFC. This is a fun sport for all boys and girls to learn new skills while meeting new friends in a safe family orientated club. The season of fun starts on Saturday 1st September at 9.15am to 1030am so get registered and become part of a great club.